CLAUDIA MELÉNDEZ SALINAS is an award-winning multi-media journalist working for the Monterey Herald in California’s Central Coast region. 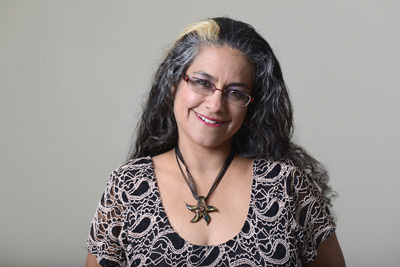 Her journalistic writing has been recognized with awards from New California Media, the California Chicano News Media Association and the Education Writers Association. In 2008 she was awarded the Annenberg Fellowship from the University of Southern California. A Fighting Chance is her first novel. Listen to Claudia talk about why she wrote A Fighting Chance. To read more of Claudia's work, click here.